AMC Search, the commercial arm of the Australian Maritime College, and The Institute for Drone Technology™ have signed a memorandum of understanding to bring drone technology training into the maritime training environment. The partnership will be launched at the MIAL SEA18 conference in Canberra on Tuesday, 16 October and the first three courses offered in Sydney from November 2018. 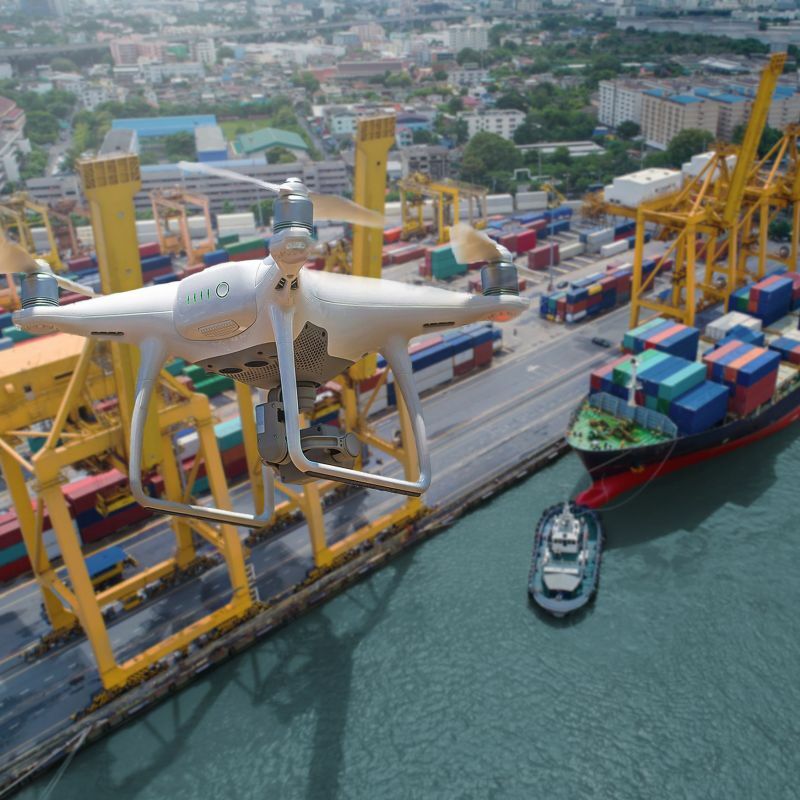 Drone technology has unprecedented capacity to provide improvements in safety, efficiency and innovation in the maritime environment. By partnering to deliver contextualised drone technology training to AMC Search course participants, the two organisations aim to make Australia a leader in the integration of drone technology and maritime activities and help build a highly-skilled workforce to drive the future of the maritime industry. The agreement will see relevant training products delivered from beginner to advanced levels, and include a variety of delivery methods so workers from across maritime can access world-class training and get the skills they need to make the most of this revolutionary technology. The first three courses, Remote Pilot’s License, Safe Drone Operation for Managers and Flight Basics: Hazards, Batteries and the Law, will be offered out of the Australian Maritime College’s Sydney Study Centre in Darling Harbour in November. Dr Joel Spencer, CEO of The Institute for Drone Technology, said the organisation was excited to work with AMC Search to extend the training offering into drone technology for maritime. The potential for drone technology in maritime is enormous and centrally concerns improving safety for workers. This is the first time a drone technology organisation has teamed with a maritime training organisation to provide contextualised drone training in a marine environment,” Dr Spencer said. Emilie Donovan, Manager – Training at AMC Search, explained that the new drone training courses are being offered in response to industry demand. “AMC Search prides itself on offering training that the industry needs, adapting and supplementing our training program year-on-year in response to feedback from our stakeholders and customers,” Ms Donovan said. Dr Spencer added that the partnership is expected to develop to help create industry leaders in the use and integration of drones. “It is envisioned that by working together into the future this project could be expanded in a number of ways to further and more effectively embed drone technology training into maritime training programs,” he said.